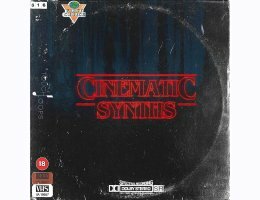 Inside this cinematic epic you’ll find gritty, evolving pads and leads that utilise Zariis’s stunning collection of classic Juno’s, J3XP’s and MS20’s, rolling analogue bass lines and phrases, classic tension building strings, Steve Vai inspired guitar licks, driving arpeggio phrases, classic 80’s drum machine grooves and so much more. You’ll also find a bonus folder of 30 evolving soundscape loops that tie in perfectly with the construction kit, safe in the knowledge that each will work perfectly with the next! So, if you’re a fan of classic 80’s cinema, would love to explore the world of film score or have been drawn in to the mesmerising world of Stranger Things then this one is for you my friend – impeccably produced and truly inspiring!